Qetaifan Projects Company, a subsidiary of Katara Hospitality, signed a Memorandum of Understanding (MoU) with Rixos Hotels to manage and operate the hotels, the souq, the water park and the beach club in Qetaifan Island North. Qetaifan Projects Company was established to develop and manage Qetaifan Island North. The Memorandum of Understanding was signed by Sheikh Nawaf bin Jassim bin Jabor al-Thani, chairman, Katara Hospitality; and Fettah Tamince, founder and chairman of Rixos Hotels. Among those present were Sheikh Nasser bin Abdulrahman al-Thani, deputy chairman, Katara Hospitality, who is also the managing director and CEO of Qetaifan Projects; Jamal al-Kaabi, board member; and Jean-Baptiste Recher, vice-president (Development) AccorHotels Middle East. 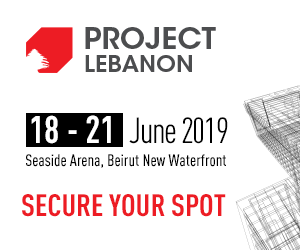 Qetaifan Projects was established due to the increasing demand for high quality tourism facilities and the need to develop more in this sector. Qetaifan Projects will develop and operate Qetaifan Island North to commensurate with the “high standards” of Katara Hospitality’s continuous success. 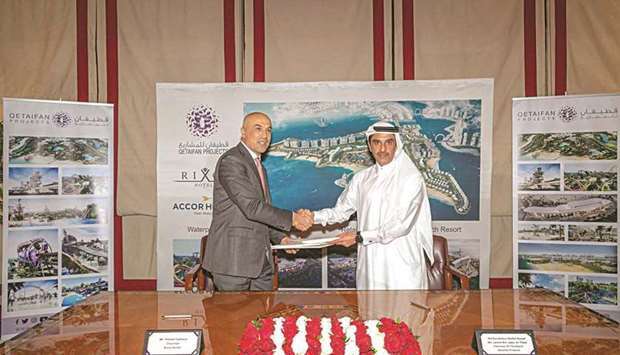 Sheikh Nawaf said, “This agreement marks Rixos Hotels brand’s first property in Qatar. As we strengthen our vision to change the world of hospitality through investment and innovation to leave an outstanding legacy for future generations, in line with the Qatar National Vision 2030, we see this as testament to Qatar’s robust tourism strategy and its reputation as a key player of the country’s hospitality industry, aiming to create a safe and sustainable investment that will carry the name of the State of Qatar. “We are confident the ethos of Rixos Hotels brand is a strategic fit for our development project of Qetaifan Island North as it is important that we have an operator which understands and respects this unique destination, ensuring it occupies its rightful position in the local and global market-places,” he added. This is the first Memorandum of Understanding signed by Rixos Hotels chain in Qatar. “The Rixos partnership with AccorHotels has added weight to the rapid growth of the Rixos Hotels on the regional and international levels,” a statement said. Tamince said, “Discovering new destinations has been always a challenging target throughout the journey of Rixos, since we established the brand in 2000. We are certain that with every new destination our horizon will broaden on our way to becoming a global brand. So far, Rixos flag is waving in three continents and seven countries. The Rixos Hotels chain embodies traditional Turkish hospitality and features unique health treatment clubs in the finest surroundings and luxurious ambiance. Qetaifan Island North development is part of Lusail city with seven beaches, making it a distinctive waterfront of the city. The island has an area of 1.3mn square meters, and the island’s projects span approximately 830,000 square meters. Qatar hosts the 2022 World Cup as the first Arab country of which Qetaifan Projects provides facilities capable to accommodate a large number of tourists through hotels, commercial markets, restaurants and unique recreational facilities such as the water game city, as well as the vast green spaces that will bestow Aesthetic and privacy on the island. This serves the overall vision of Qatar 2030 and the tourism sector through the expansion of urbanization and the absorption of large number of projects that serve different sectors in the State of Qatar.